Click thumbnails to change main picture selection. 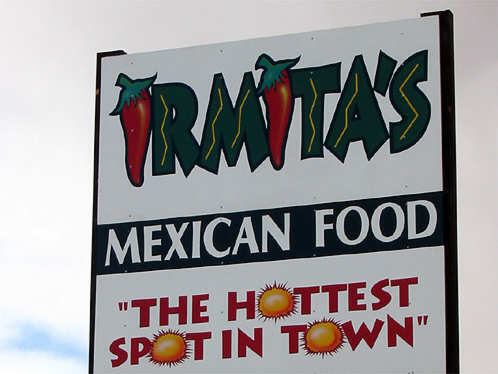 In the nearby town of St. George, Utah, Irmita's is a place of excellence that serves Mexican food at burgerbar prices. The only fancy thing here is the food, but my frugal nature is never disposed to pay for ordinary food in lavish settings. I am also deeply suspicious of places that advertise "authentic cuisine", but here such a claim would be spurious because the authenticity is self evident: the staff, and most of the customers, are clearly Mexican or Hispanic Americans. The remaining balance of the customers is not limited to poor white trash like us, however; a steady stream of well heeled Anglo locals calls by in shiny new SUVs to savour the offerings. 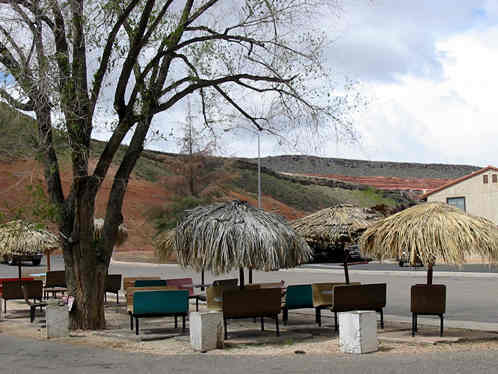 When the weather is warm and sunny then sitting outside under the grass shade umbrellas is a delightful way to lunch at leisure. Irmita does a commercial on local TV in which she makes a personal appearance to welcome the boys. All this is a far cry from the slick chains created by brand and marketing managers listening to focus groups. 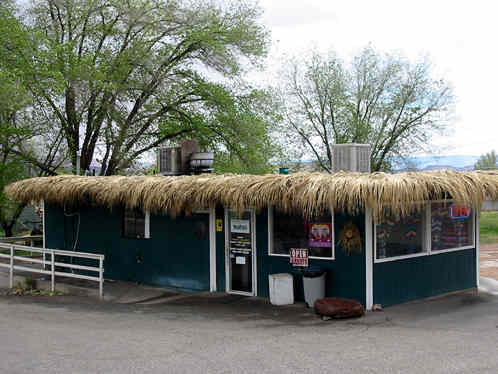 Some of the chains do provide good fare and service at reasonable prices, but it is good to see that independents can survive the onslaught so that there is still diversity, choice, and er… authenticity!